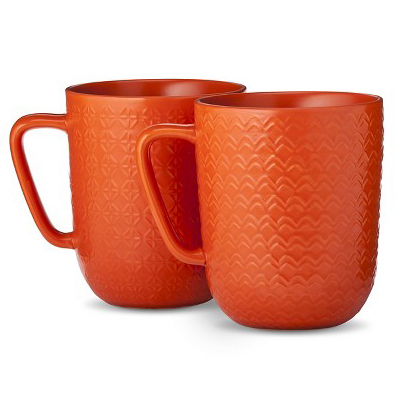 This Orange Coffee Mugs Set includes four large glazed stoneware mugs. Dishwasher-safe, microwave safe. 11oz. $15.99. Buy here.